Bull shark, Carcharhinus leucas, from the CARCHARHINIDAE family. Depending on where you are in the world, you might also hear it referred to as a Ganges shark, Zambezi shark, ground shark, shovelnose, freshwater whaler, swan river whaler or slipway grey. 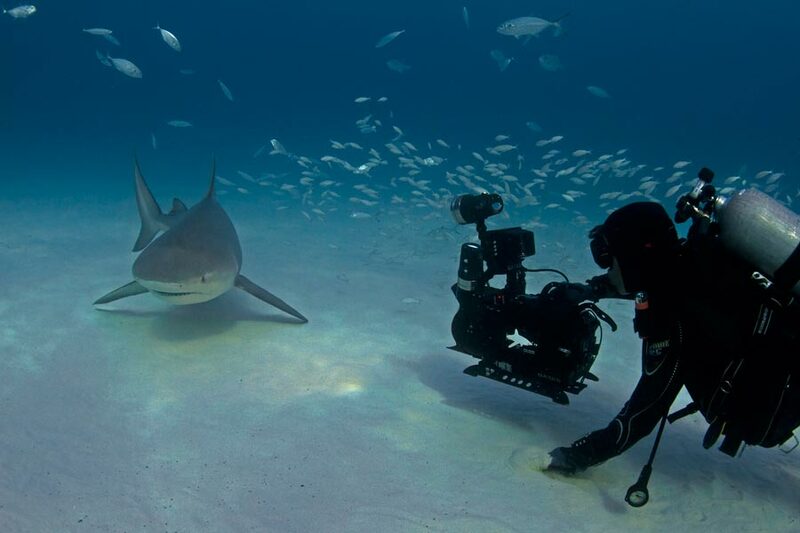 As its name suggests, a bull shark is large, stout and unpredictable. They are distinguished from other sharks by their stout appearance. Male bull sharks grow to an average size of 7 feet (2.5 m), whereas the females are bigger, with an average length of 11 feet (3.5 m). They weigh about 200 lb (90kg), 290lb (130 kg) respectively. Bull sharks are wider and heavier than other requiem sharks of comparable length, and are grey on top and white below. The second dorsal fin is smaller than the first. The bull shark’s caudal fin is longer and lower than that of the larger sharks, and it has a small snout, as well as lacking an interdorsal ridge. This species reaches maturity at about 6 years and lives to be least 14 years. They’ve been spotted as far north in the Atlantic as coastal Massachusetts and as far south as Brazil. 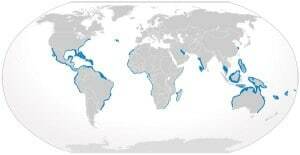 In the Indian Ocean, you can find them from Africa and India to Vietnam and Australia. They tend to avoid the cold waters of the Pacific. They can be a common sight in big rivers. There have been reports of bull sharks as far as 1000 miles (1600km) down the Amazon. They were also sighted in the Mississippi. It’s one of only two species of shark that can live in freshwater — the other is the rare river shark. The ability to be able to survive in both freshwater and saltwater also gives it a benefit that has been driven by evolution. 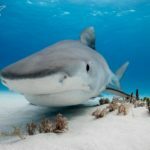 Because the majority of sharks are only able to survive in saltwater, the bull shark has evolved to have their offspring in the fresh water where other sharks cannot enter. 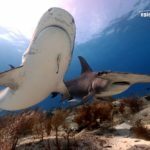 The fresh water acts as a protective area where the young are able to grow and mature without the threat of larger sharks preying on the younger bull sharks. Bull sharks like to dwell in shallow coastal waters (less than 100 feet in depth) , so you can be sure to encounter them more frequently, than say, an Oceanic whitetip. The fact that they are considered territorial animals assures that you are bound to catch one with your underwater camera. 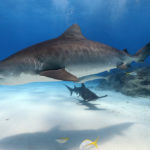 Bull sharks are a sight to behold and are a truly unforgettable experience for any scuba diving enthusiast.